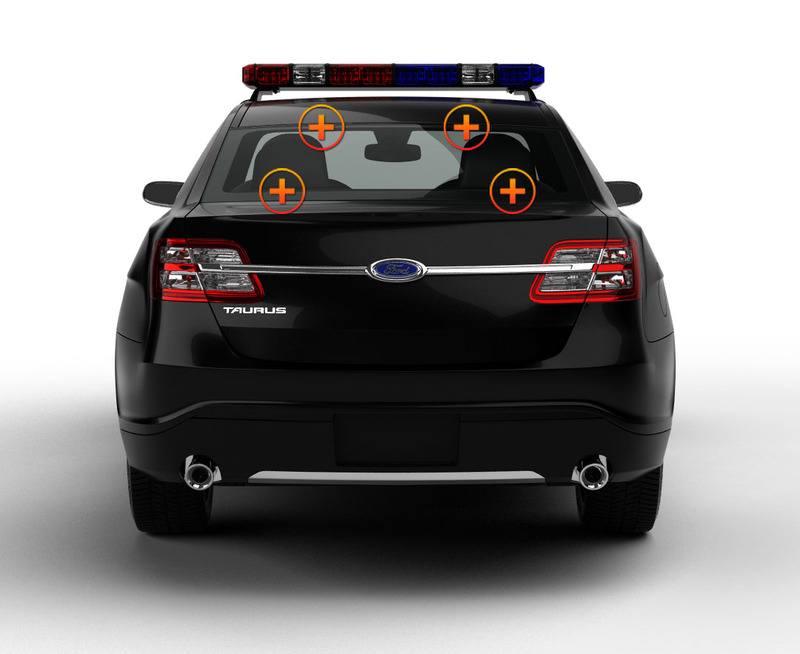 Catching the attention of oncoming traffic and directing it out of harm’s way can be done safely and efficiently with the Ranger Hextag Traffic Advisor from Extreme Tactical Dynamics. Mount this 36 Watt light on your emergency vehicle--front or back, inside or out--and you’ll have 30+ flash patterns to help you move traffic smoothly night or day. It comes with focused, high-beam TIR lenses made of strong polycarbonate that penetrate fog and shine brightly through any weather conditions. The Hex Stick comes with two types of mounting brackets; those with suction cups for the front or L brackets for the rear deck of your vehicle. The 6 modules are made of polycarbonate with aluminum backing. 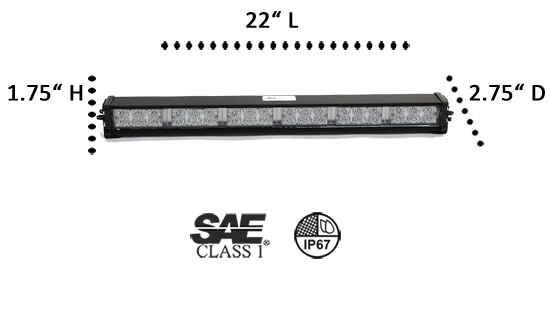 Each module has 6 Generation III 1-Watt LEDs which are designed for quick removal and replacement, but that’s unlikely because each bulb is built to last 100,000 hours and comes with a 5-Year Limited Warranty. The Hex Traffic Advisor comes with your choice of 12 solid or split color combinations. The cigarette lighter power plug and control box have a 12’ cord for easy accessibility and expert traffic control. The system can be hardwired to an existing switch box, light or siren system. 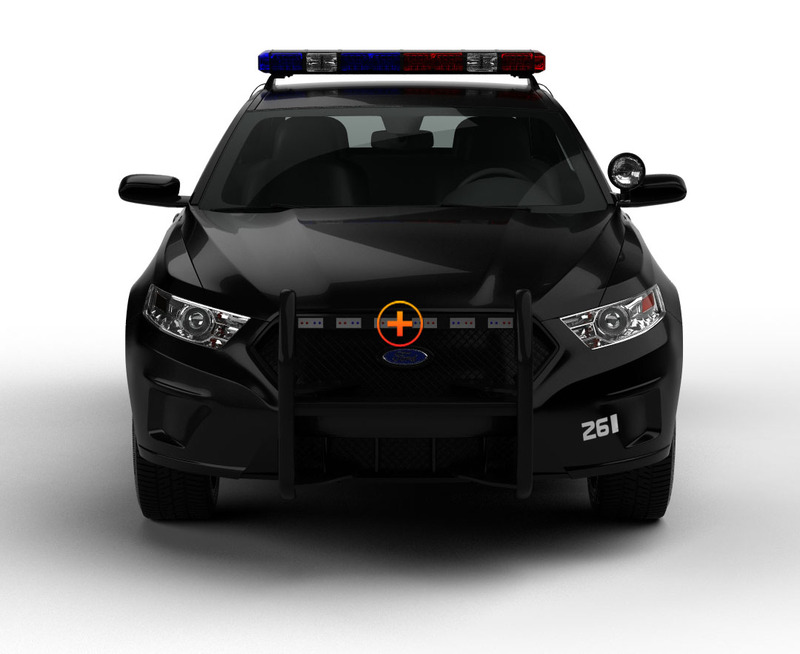 Your police or POV vehicle will be a highly visible, polychromatic light show when the Hex Stick LED Deck Traffic Advisor is kicked on and in full operation! I installed the light bar on the luggage rack on my Honda GL1800 Goldwing. I use the motorcycle for various events that use motorcycles or safety, ie., MS150 bicycle race, Ironman, Baker 2 Vegas Law Enforcement Relay race. This light bar is BRIGHT in direct sunlight. I also have the Hideaway 9 strobe lights. I am very happy with both lights. Extreme Tactical Dynamics is a pleasure to do business with.